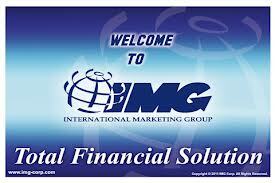 First of all I need to introduce you to IMG which means International Marketing Group. IMG is a marketing company that is dedicated to serving the financial needs of individuals and families from all walks of life. They also conduct FREE Financial Literacy Seminar to educate people on how to manage their money. In Philippines, members can get the full set of FREE seminars in the Head Office. 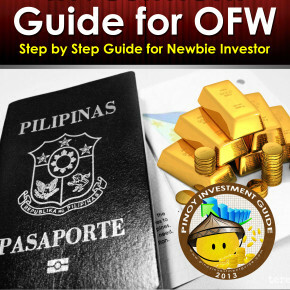 Even I am in Saudi Arabia, I have completed the 2 FREE Seminars customized for OFW which is being conducted by IMG wealth Academy. I am also being mentored by Fely Santiago, of the IMG – Truly Rich Maker Group. Yup, IMG also exist in Saudi Arabia. IMG helps people makes critical financial decisions that can help move them from where they are to where they want to be. The 2 seminars give details about the importance of 6 steps to Financial Security. Through the seminar, listener would be able to understand about the importance of financial planning and how your present situation could affect your future. I have learned through that seminar that, there is a high percentage of OFW, which are not financially literate and ended up working in Saudi Arabia for a long time without any goal in life. There were also times that an OFW who resign from his work in Saudi Arabia, ended up having a misery life because he was not able to prepare for his future. It is also sad to know that there are some Filipinos who work in Saudi Arabia for a long time, 15 years perhaps, and retiring poor in Philippines. Those OFW did not think about their future but instead, spend all their money on wants and not on needs needs. It is one of the reasons also why I joined IMG, to have a planned financial future. In IMG they make sure that your practice what you preached. Our mission is To Make Your Family’s Dream into Reality. We are committed in helping families achieve your dreams, through our business opportunity, as well as our products and concepts. Actually IMG is a one- stop shop, for every Financial Investment Vehicle that Filipino may need. Ranging from Insurance, Mutual Funds, Stock Market, Real State, Non-life Insurance and more. You could actually earn form your own investment portfolio. I could actually see a big business potential with-in this company, members will not only be financially literate, but will also be financial secure during retirement age. IMG is teaching individual on how to have a strong foundation about financial security. I know I have lots to learn from the company, but I believe that I have made a step towards my Family Financial Security. I have been in Saudi Arabia for 10 years, and If I only became financial literate long time ago, I would be probably a millionaire and a big time investor by now. That is why I know that being financially prepared is the will of the God. God doesn’t want us to be poor during our retirement age. Do you want to learn more about the IMG and Wealth Academy and how you can attend the FREE Financial Literacy seminars? Then just enter your details below, and I will contact you as soon as possible. If you are not within my vicinity, I will let our IMG associates contact you as soon as possible. You could be in any part of the world. And as I detailed my journey to Financial Freedom, I will continuously update our readers of my journey to Financial Security. I am based in Al Khobar Saudi Arabia and I have been a member of IMG in Manila. I did not know there was a branch here. Could we communicate by email. Hi,want to attend a seminar about IMG.this is new to me.thank you. I just send you an email ..
Hi! I am did attend a seminar here in Japan. However I am still not a member yet but very interested to join. Can I ask you for advise? i have problem with IMG right now . what if i want to quit? kase ndi kme ininform n lapse account and they’ve [img] been accepting our payments for 10 months for kaiser. we want to pull out my 10months na naka freez. pls help us. Hi bro! I am a member of IMG, I am her now in KUWAIT, I f you have some friends or relatives work their and willing to attend our FREE COACHING SEMINAR for FINANCIAL EDUCATION, just contact me, my phone number: +965-60743654. We teach them how to make an SOLID FINANCIAL FOUNDATION of his Future Career. Thank you! God Bless! Just what IMG can do? If you will be a member what comes next? Membership fee? How can IMG help me? partnership in business or just coaching for financial problem? Hi Jorge, If you are a member of IMG, you can attend free seminars which are only available for members. If you want to make this as your business you need to take their long term health care and know the system for you to be eligible to become their broker. good afternoon, i am flordeliza alesna, from villaperla, combado, maasin city, so. leyte. i was recruited by my cousin mr. sanito espanol and mrs. norma grabato last april 4, 2015 and paid P 3,700 for a lifetime membership and P 500.00 for the kit, i took a hospitalization and insurance of kaiser under the name of my husband Mr. Juanito B. Alesna and paid P 4,412.00. To sum it all, i paid P 8,612.00.
what i am trying to ask, is can we have a policy, an id or anything we can hold as proof of our membership. according to them, we only receive a code, how about the kaiser? its april 22, now and i dont recieve anything nor a receipt, nor an email. Hope to hear from u soonest. A newbie IMG member here from Jeddah, KSA. I would really appreciate to be invited by your group for series of IMG financial literacy trainings. I have invited friends/colleagues to sit with the group I am with right now but is bombarded with queries that I don’t know yet how to handle. i read a lot about IMG and it’s financial services but I really crave for trainings. I am going for an annual leave on January 2015, and I am planning to present IMG’s mission. Webinars replay is viable? It always fall during working hours. Thank you Sir. *Presenting IMG’s mission in my hometown. form will tell you the joining fee which is variable in every country. Please put my code so you could be part of my team. Where are you from Saudi Arabia? hi sir, meron po bang IMG d2 sa qatar? Thanks po! Im actually planning to join img po. But not sure about kaiser yet. Cos if im going to pay 2600 monthly, then 50k lang ang makukuha ko sa hospitalization per year, parang masyadong mababa.. Is there any other option po ba?